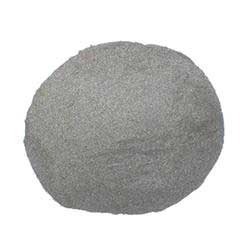 We Salasar Alloy And Steel Industries (P) Ltd are manufacturer, hereby certify that our Low Carbon Ferro Manganese Powder is made thought electric furnaces by triple refining process not from prevalent practise to manufacturer femn by aluminium thermite process. Ideally suitable for best quality welding electrodes due to low sulphur, phosphorous & silicon content. We are supported by collaboration with reputed foreign supplier of south africa & Norway developed during the period of 8 years of manufacturing & stored at our well equipped warehouse in butibori nagpur. We commit to supply Low Carbon Ferro Manganese Powder having uniform particle size distribution & penetration of manganese in weld metal. It will not cause irritation to welders due to less fumes & poisonous during welding. We give commitment to supply low carbon ferro manganese powder regularly throughout the year. If we will not be able to supply at the time of your requirement we will never in future will contact you for the same as we had ample stock of 400-500 mt at our butibori stock yard. Please find the attached Test Certificate for your kind reference. Looking for “Low Carbon Ferro Manganese Powder”?